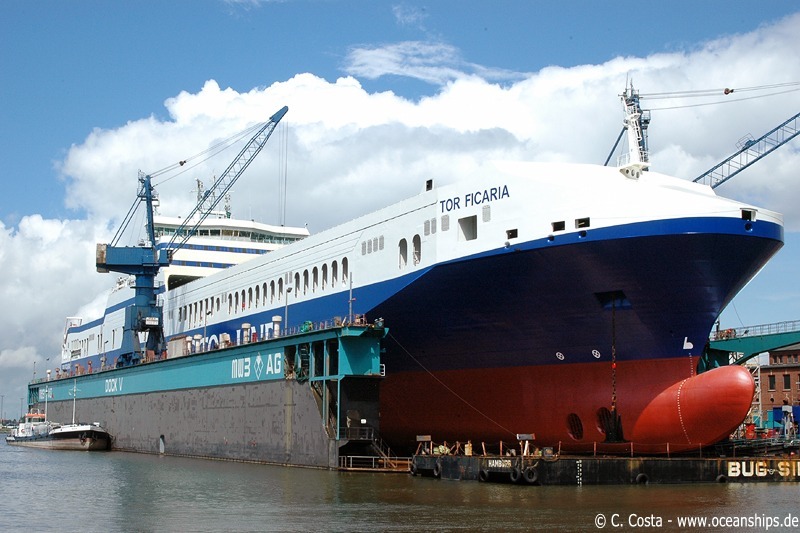 Tor Ficaria is moored in Bremerhaven on July 16th, 2009 after being lengthened. 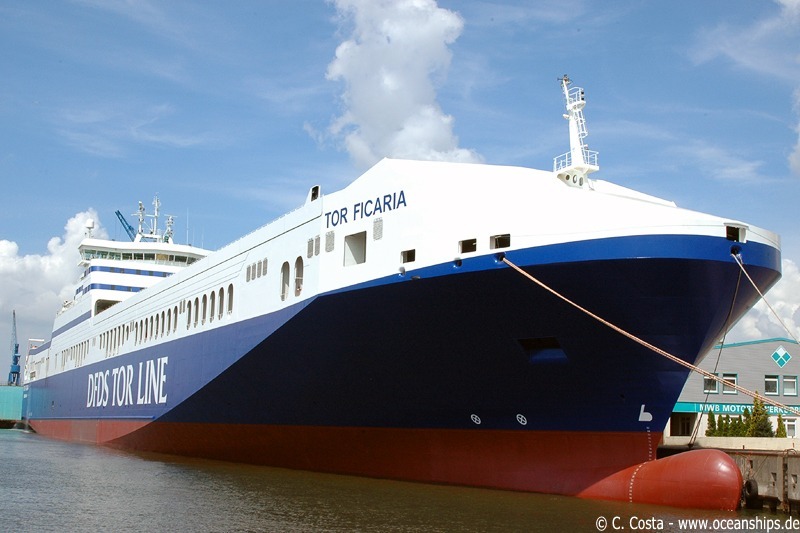 Tor Ficaria is docked at MWB yard, Bremerhaven on July 8th, 2009 after lengthening the vessel from 199.8 metres to 229.8 metres. 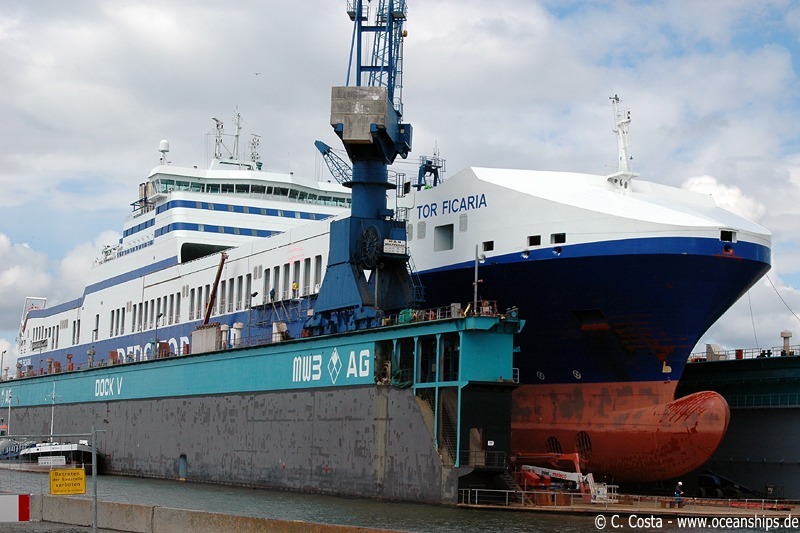 Tor Ficaria is docked at MWB yard, Bremerhaven on June 5th, 2009 for lengthening the vessel from 199.8 metres to 229.8 metres.